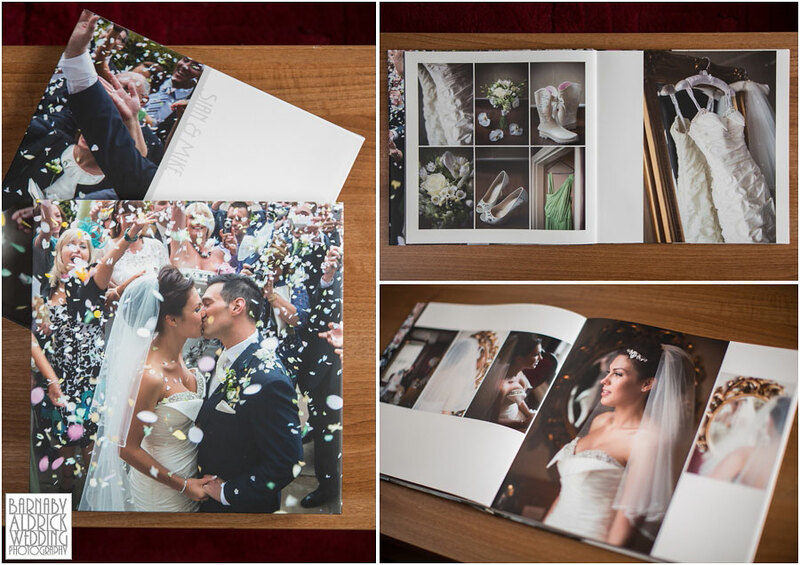 An elegant wedding album remains a beautiful way to preserve the memories of your big day. 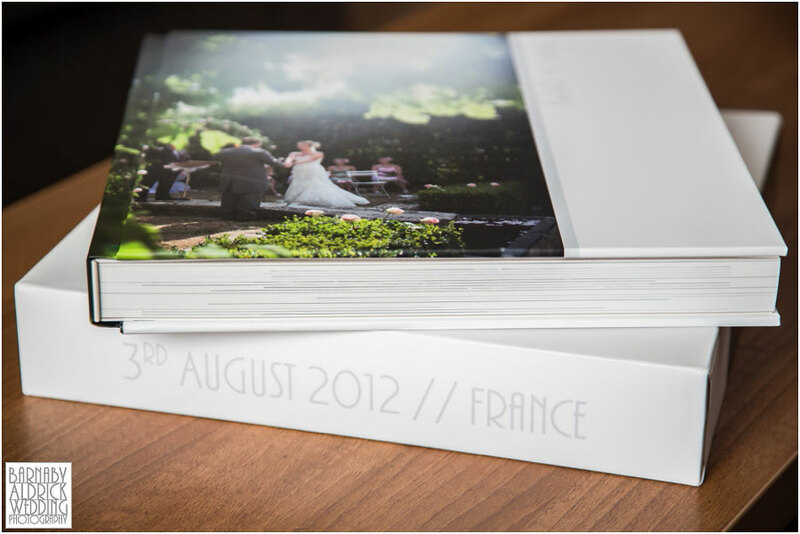 Finding the perfect supplier for it hasn’t been an easy task in the flood of companies jumping on the photobook bandwagon. I’ve used AsukaBook exclusively for over 8 years now and have developed a great relationship with them. They’re professional, personable and are dedicated to delivering an outstanding product. They’re a company that spans the globe – with bases in Japan, America & Europe – but I’ve always received outstanding service from Andrew, the head of UK & Ireland, and he always knows exactly what’s going on with every one of my client’s albums. 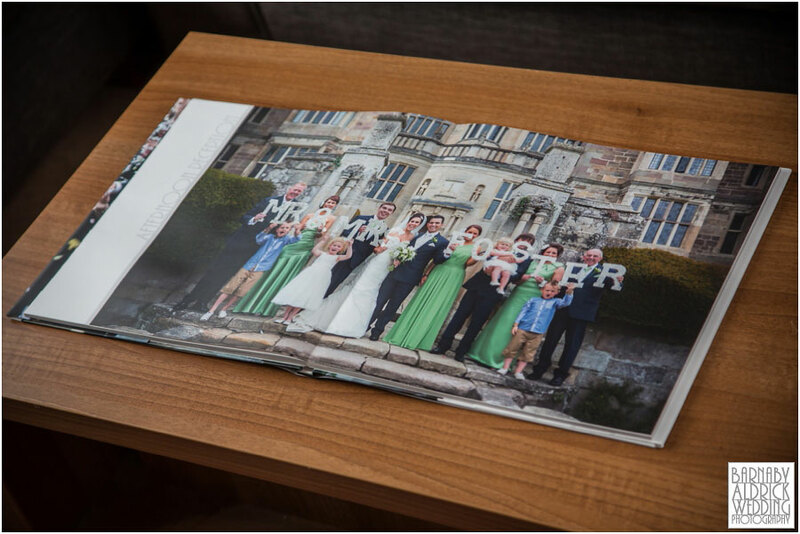 Once booking an album with me, my process is generally to weave your wedding images into a smart, unfussy story layout – then you can describe amends on my proofing area. Then I send it to AsukaBook to turn it into an heirloom that will last for generations. 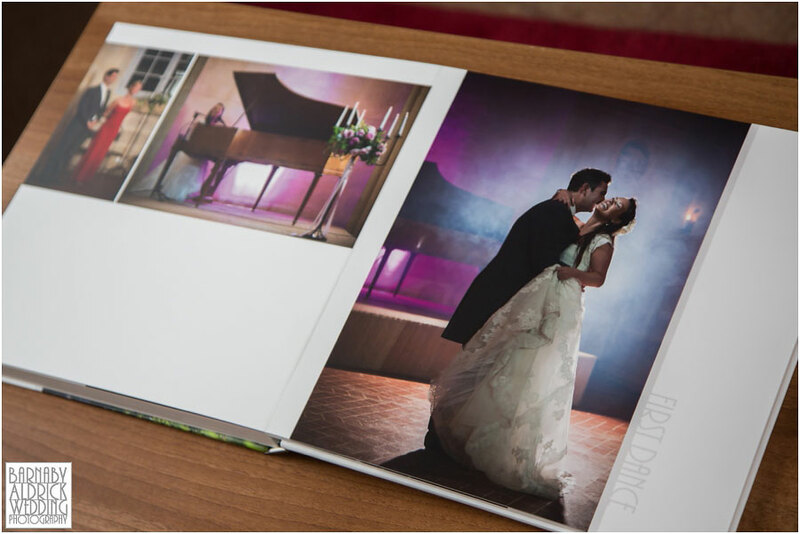 I intrinsically trust them to produce such brilliant books that I have them shipped directly to the client. I’ve been an Ambassador at AsukaBook for a while now, and you can see me waffling on about how great they are below! A brilliant coffee-table-style book with laminated pages that lie flat across the spine, presented in a black slipcase. 2. 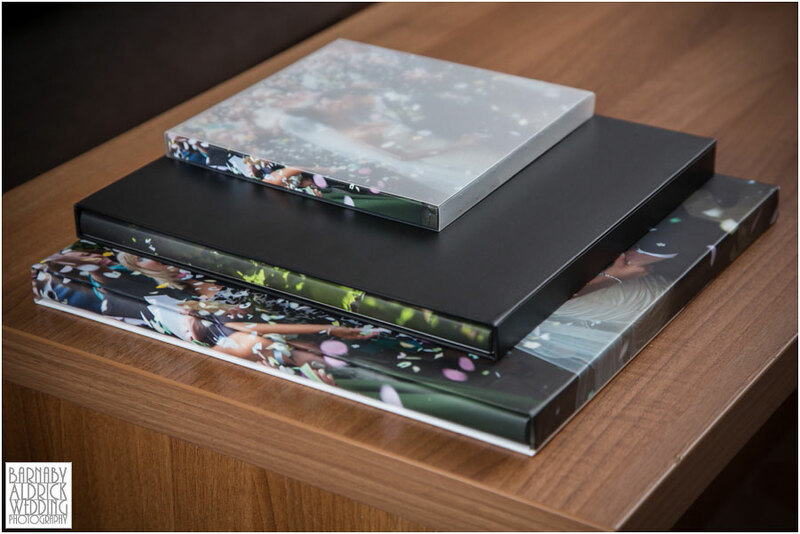 Zen Lay-flat Photobooks, for a superior-quality storybook, with photo-quality pages, bonded in matt-laminate, and with a protective dust jacket and a slipcase. 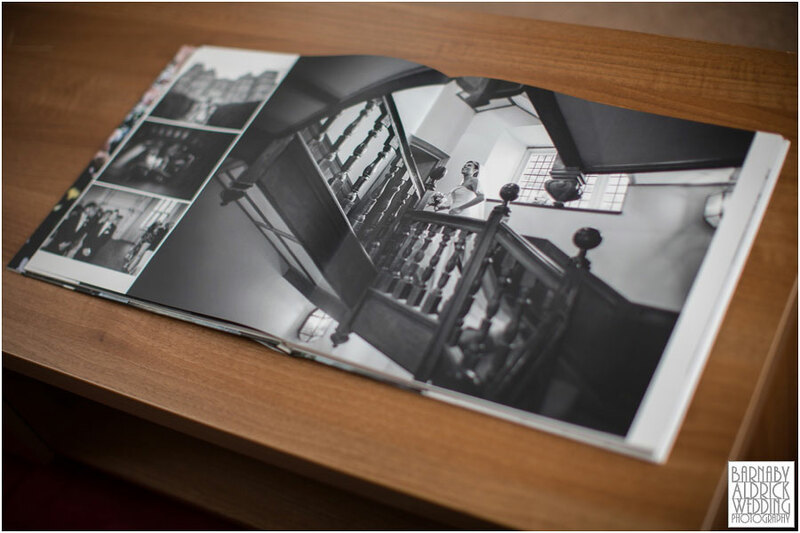 Part of my photographic approach at every wedding is telling a visual story, and try to draft the story as such, with chapter pages to introduce the major sections of the day. I also try to keep the design clean and uncluttered, without tacky overlays and cheesy effects / borders that’ll no doubt date badly. Most of my album spreads are drafted with ‘companion storyteller’ images next to a large ‘hero shot’, that really sings. 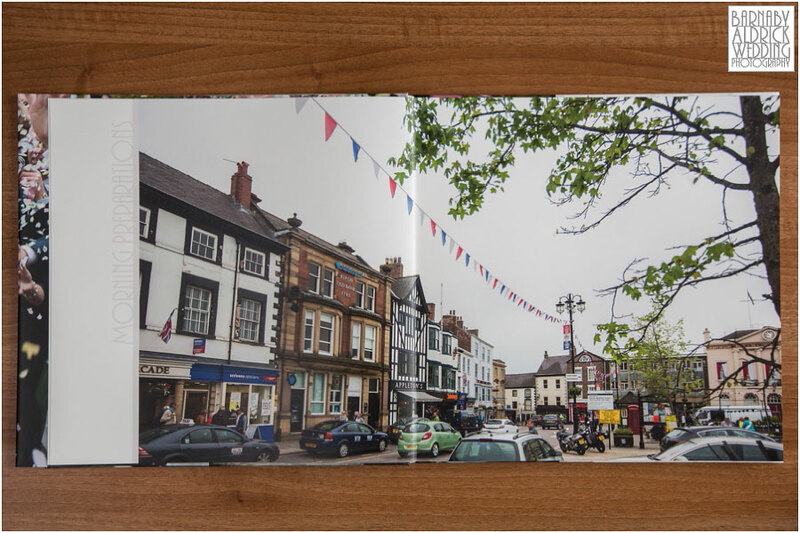 The advantage of these photobooks is that with thin pages, I usually draft to 60 & 80 page (30 & 40 double spread) designs, so there’s plenty of room to show off the story! And the recently updated ‘Zen’ book binding means the story can span right across the margin without any gap in image. The design is printed on one sheet, right across both sides, so there’s no chance you’ll find a key element is lost down the central spine. 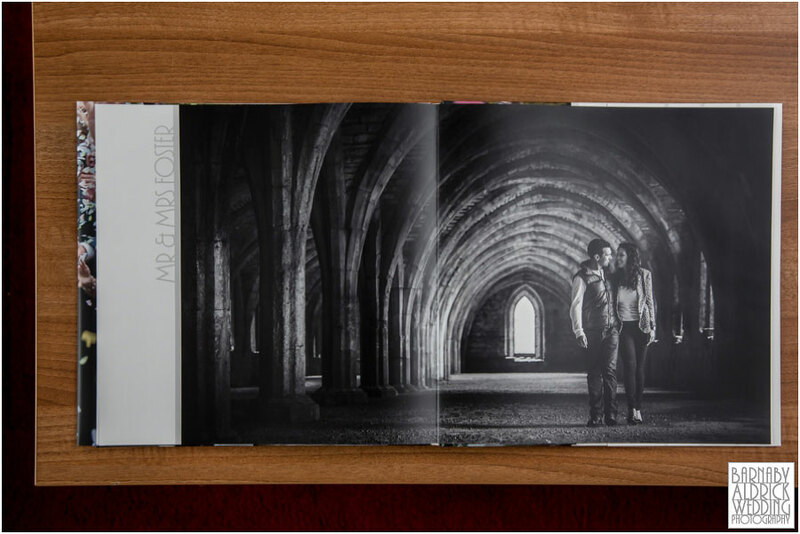 I also like to close the album with a final spread showing a couples favourite pre-wedding image like this, as I like the way it wraps up the wedding story! All books are available in 7, 10 & 12″ sizes. 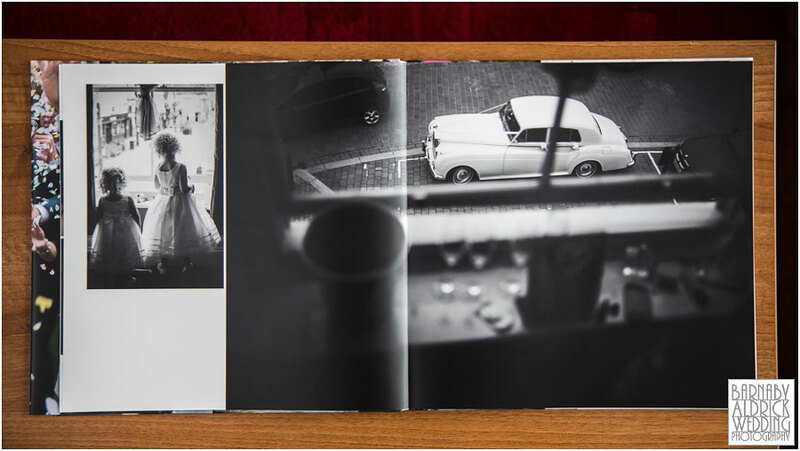 Some couples want a 12″ Layflat book for their main album, and two duplicate 7″ photobooks for parents; some prefer the Neo-Classic style book for themselves and 10″ photobooks for the parents, and others their favourite for themselves. 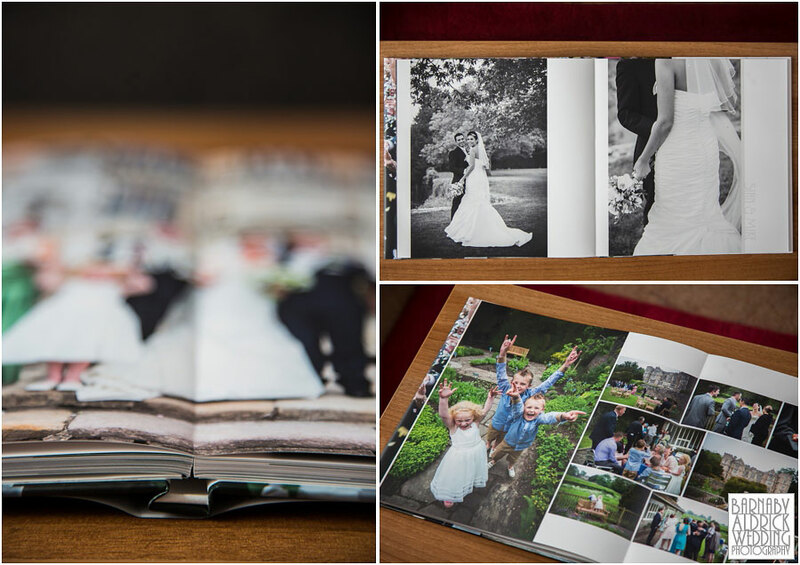 The design from one book can easily be resized onto other album sizes for parents etc. 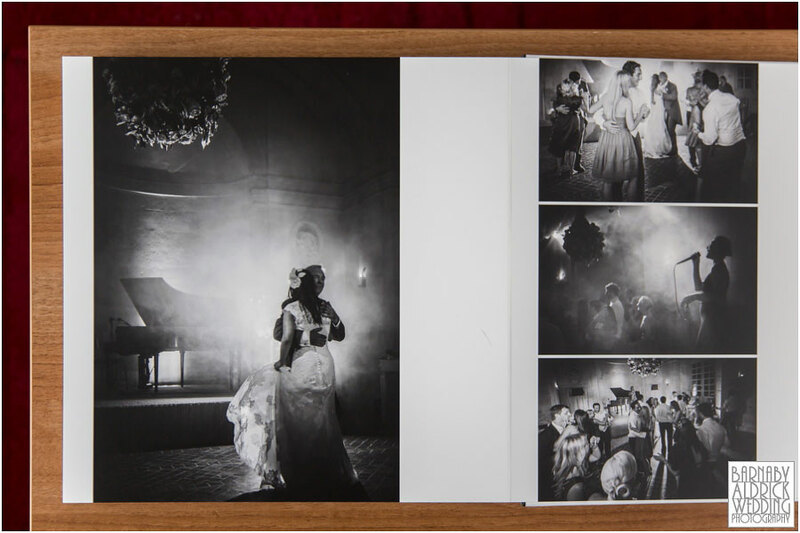 While I offered only photobooks for the first few years as a wedding photographer, the latest addition to my range is AsukaBook’s Neo-Classic book. 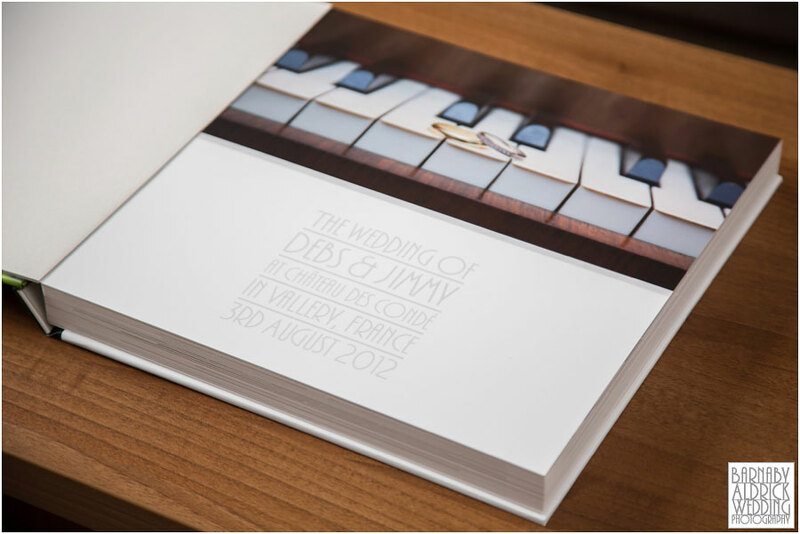 I like every client to receive the album they dreamed of, and some couples wanted a more ‘substantial’ weighty album with heavy-duty card pages – so this is it! 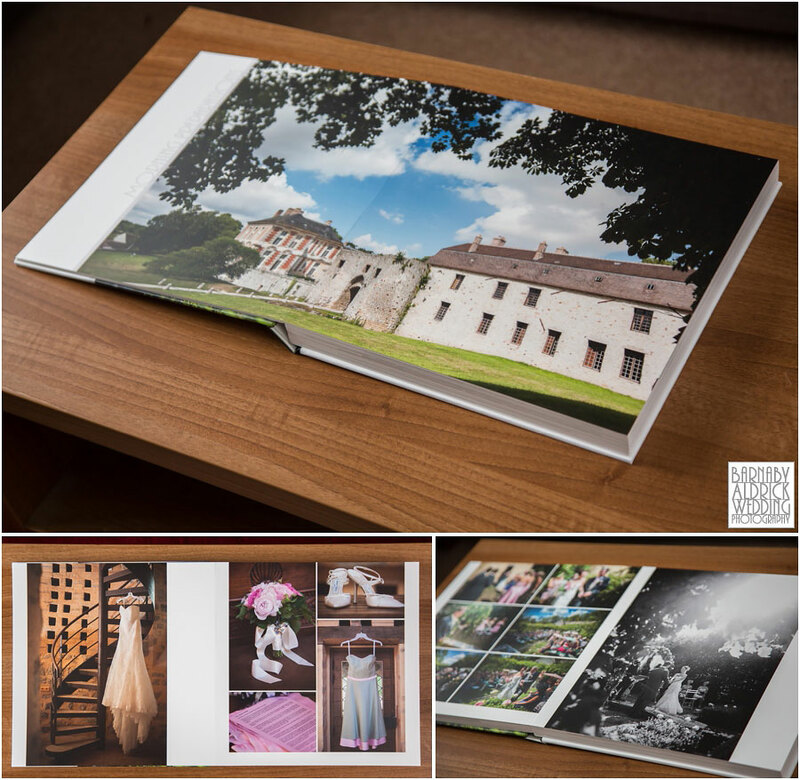 It’s got the same laminated, photo-quality paper finish as the photobooks, with introductory and chapter pages to divide up the story, but bonded onto thick card. 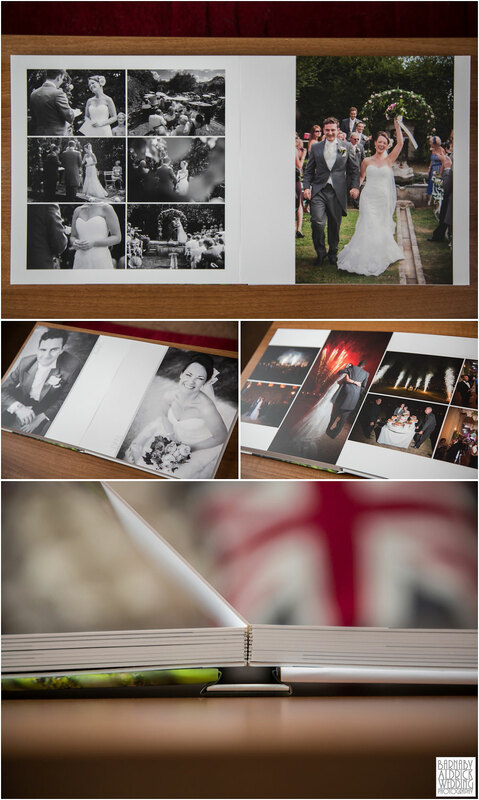 When it comes to designing layouts and selecting the images, I don’t ask couples to tell me their favourite images. Instead I suggest 40/60 pages for a shorter wedding coverage, or 60/80 pages for a full day, then draft a story that fulfils my artistic vision of their wedding story. Once complete, I email a first-draft, low-resolution PDF to the client and let them make up to 20 amends to the design (so all their favourite images are in, and least favourites out). Once a final draft is green lit, they’re sent to Asukabook for printing and shipped straight to the couple. The difference between album types is that Neo-Classic pages are bonded to 2mm board and there’s cunning engineering in the binding to make the pages lay truly flat. Another reason I added this option into my range was because previous constructions of the Neo-Classic had a small gap between two printed pages, and now they don’t! For me it’s crucial that the flow of the double page spread isn’t hindered by gaps in the centre, and now it isn’t with both Zen Layflat & Neo-Classic books. 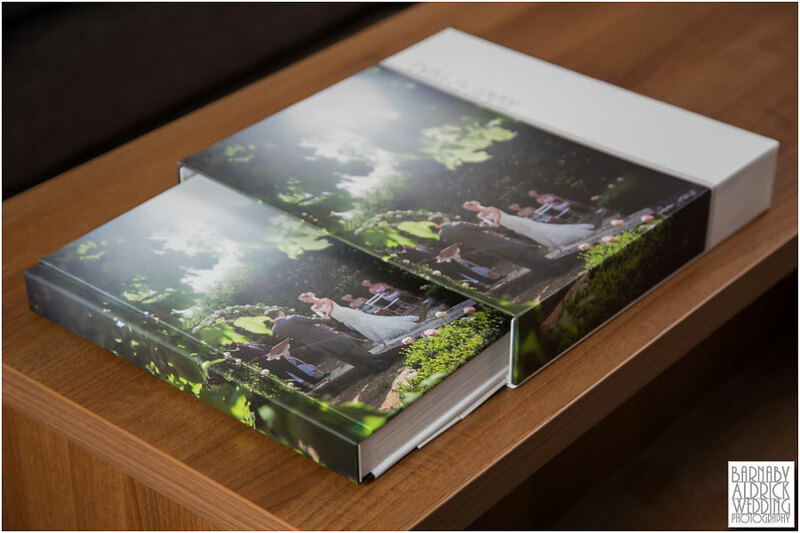 You’ll hopefully see that these wedding albums are a beautiful way to complete a wedding story, and make far better use the wedding photography than seeing them float away down a Facebook stream or leaving them locked inside USB stick/DVD in a drawer, gathering dust. I try not to overwhelm clients with options, and all that’s required to start the drafting process is a deposit, with the balance payable when they go to print. In my opinion, there’s no better supplier that AsukaBook to turn my wedding photography into a timeless wedding story for a couple to cherish!